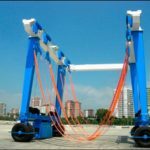 China Supplier Travel Lift For Sale Has Various Types Factory Price Professional Choice For Boat Lifting! China supplier travel lift for sale is affordable choice for customers. It has pretty good quality and factory price! China manufacturer travel lift has many advantages to meet customers’ needs, such as high safety, convenient use, large loading capacity, low failure rate, high efficiency. 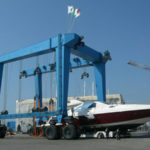 With these features, customers can purchase ideal marine boat hoist with less cost! Ellsen Machinery Co., LTD, a professional marine travel lift supplier and manufacturer in China, provides great boat travel hoists for sale, such as port used small travel lift boat crane, construction travel lift, factory direct sales marine travel lift, cabin control boat hoist, remote control travel lift gantry crane, high lift capacity travel lift, small boat hoist and so on. Purchase wonderful marine travel lifts from Ellsen now! Low cost, high efficiency, ideal quality! China manufacturer boat hoists have complete safety protection devices. Radar anti-collision method makes safe operation and high efficiency. 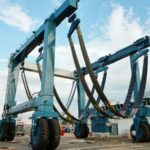 Adoption of load sensitive control technology enables the crane to produce output as actual demand to prevent energy wastes. Soft but sturdy hoisting belts make no damage on hulls surface. Rubber tyres as travelling mechanism make it convenient and flexible for operation without limit of rails. China supplier marine travel lift cranes have strict producing standards. All these gantry cranes are designed and produced according to national standards and international requirements. Thus the cranes are reliable. 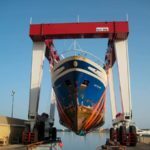 Marine travel lift suppliers in China provide customized service. 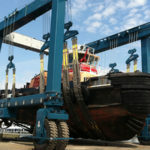 Ellsen sales vessel hoists according to customers’ practical needs. 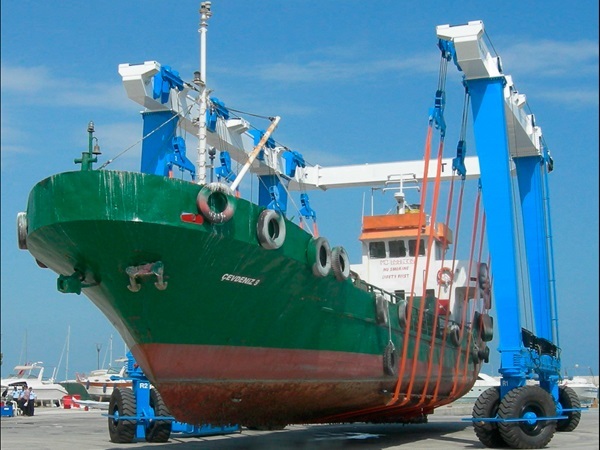 For lifting tons, there are 25 ton marine travel lift for sale, 60 ton boat hoist, 500 ton mobile boat lift gantry crane, 1000 ton marine travel lift. 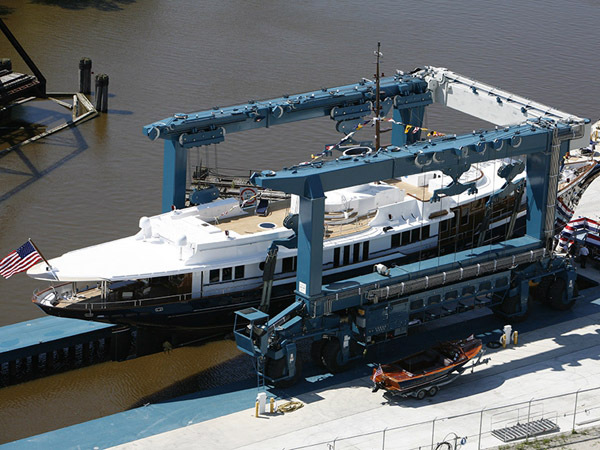 For different occasions, Ellsen provides travel lift gantry cranes as seaport travel lift, construction travel lift, travel lift for water sport meetings, aquatic clubs and voyages. 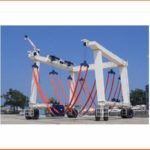 1.For the crane traveling, it can move in diagonal direction, it also can steer in 90 degree or do pivot steering,it also can put the boat in any designated position according to requirements. 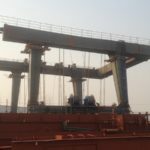 2.Main girder can adjust the span according to the boat width for handling different width boat. 3.Low expenses, high performance, easy to operate and maintenance etc. 4.Low cost on the daily operation, it adopts the soft&firm belt to ensure no harm to the boat when hoisting. 5. It can make the boat in order quickly, it also can adjust the gap between each boat according to different condition, reducing the wasted space.